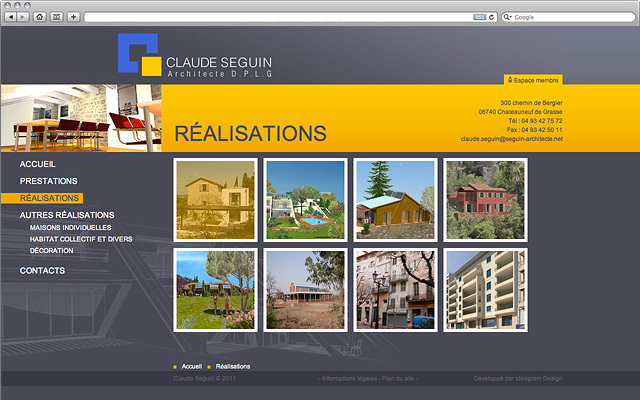 Architectural practise located in Chateauneuf de Grasse, Alpes-Maritimes. 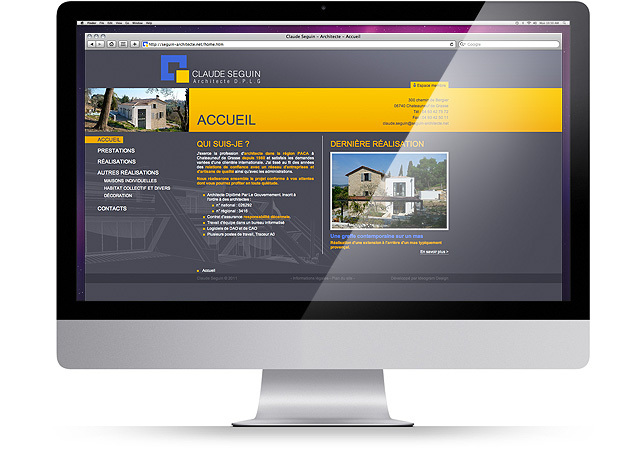 The website is the showcase of the architect’s work. 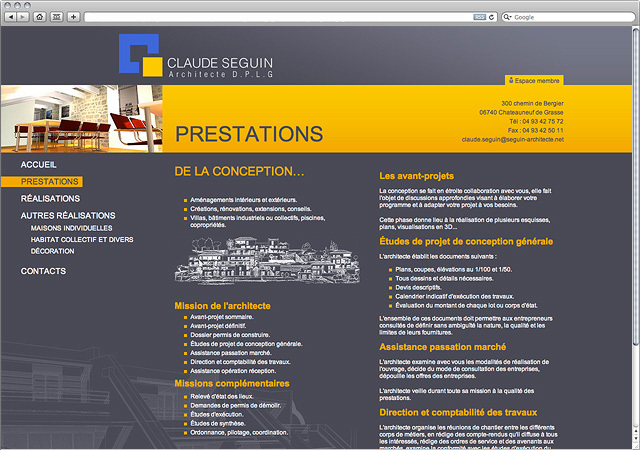 His latest projects are added as and when they’re created by the members of Claude Seguin’s team. Creative display of the projects.